Training horses isn’t easy. Training multiple horses to work together at the same time without halters, lead ropes, saddles or bridles is even harder! These three Friesans and their trainer Frédéric Pignon put on a beautiful performance. It has been watched almost 3 MILLION TIMES! People absolutely love it and I can see why. I’m sure a lot of people will disagree, but I was actually nervous watching the performance. Especially when the horses run up to him! At minute 4:58 in the video the horse is having fun bucking and playing and then barely misses the handler. There was also a lot of whip action going on! Maybe I’m crazy and it’s a beautiful video and I should just appreciate it for what it is. What do you think? 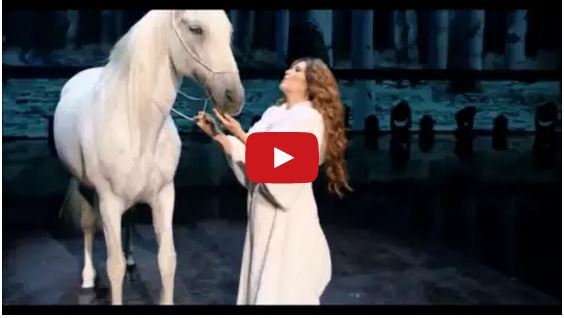 Watch Shania Twain Serenade Her Gorgeous White Horse On Stage! 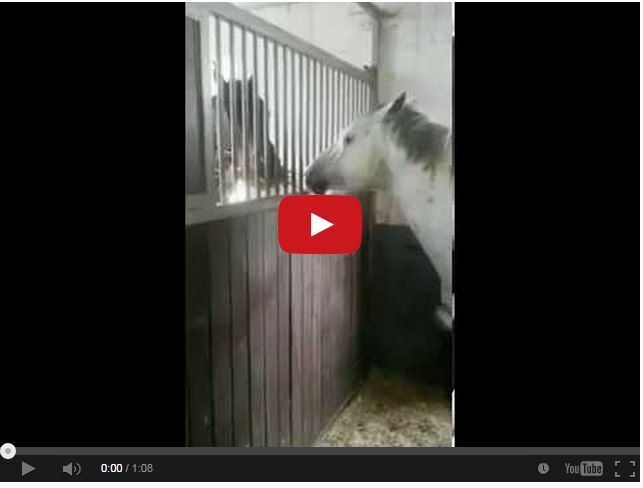 Watch This Horse Share His Hay With A Friend! 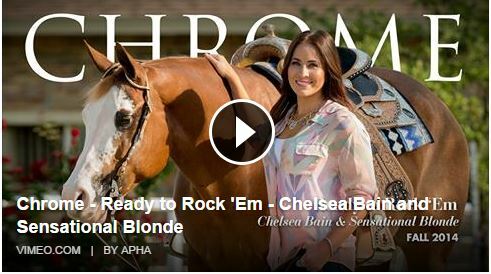 Country Music Star Chelsea Bain Talks About Her Love For Paint Horses! 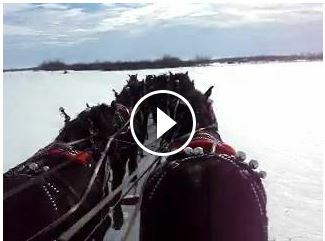 Watch These Horses Play Jingle Bells…For Real!